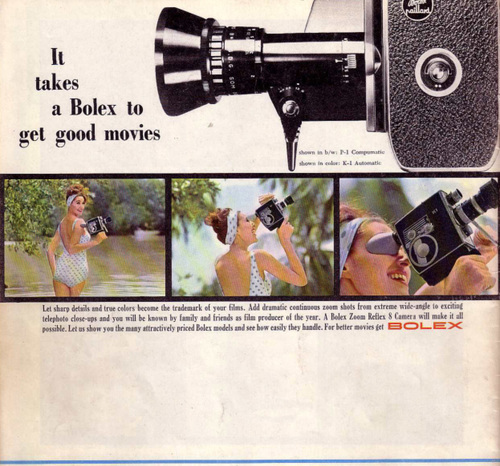 Once upon a time, there was a wonderful magic box called the Bolex camera. And there was a wonderful magazine about what one could do with the magic box called "The Bolex Reporter" . 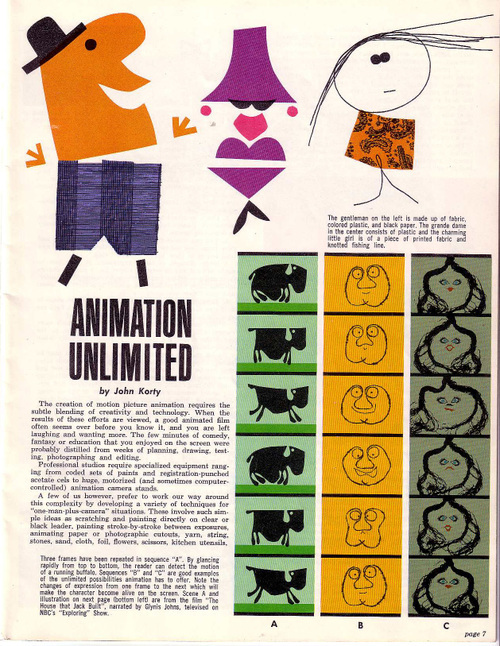 In one of those issues of the Bolex Reporter in 1963 there was an article on "Animation Unlimited" by animator John Korty. Korty would go on to produce and direct a unique animated feature called "Twice Upon A Time" (exec. produced by a certain Mr. George Lucas) , "one of the most amazing animated features that you've never heard of." Ward Jenkins has just posted the first part of a long article about Twice Upon A Time on his blog. What a treasure of an article! Thanks for sharing it. John Korty and his films, animated and live action, have certainly been an influence and an inspiration to me.